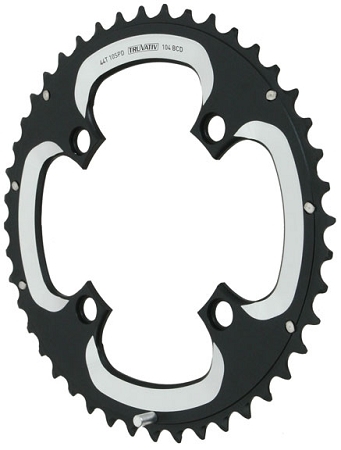 Truvativ 10speed mountain bike triple chainrings. 22-32-44 tooth combo, 64/104bcd 4- bolt. Works for Zinntegrated mountain bike cranks and JK mountain bike cranks.